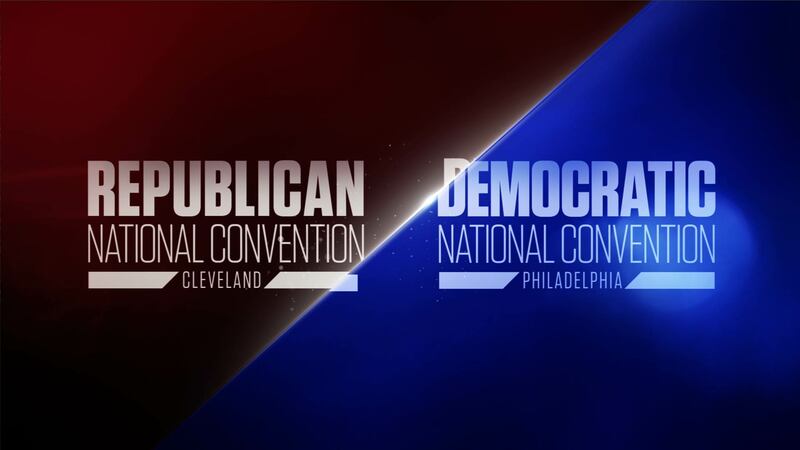 JULY 13, 2016 (Washington, D.C.) – On Saturday, July 16, CNN will kick off its special two-week coverage of both the Republican and Democratic National Conventions with comprehensive multiplatform reporting from the network’s anchors, political correspondents and reporters. CNN will deliver 24-hour, around-the-clock coverage during both convention weeks live from Cleveland and Philadelphia. The network will offer viewers unprecedented access to convention happenings with insight from campaign surrogates, political commentators and party insiders. CNN will have roaming cameras on the floor of both conventions, multiple sets from inside the halls, and several reporting locations surrounding the Quicken Loans Arena and Wells Fargo Center. Anchors Brooke Baldwin, John Berman, Victor Blackwell, Wolf Blitzer, Kate Bolduan, Erin Burnett, Alisyn Camerota, Anderson Cooper, Carol Costello, Chris Cuomo, Poppy Harlow, John King, Don Lemon, Christi Paul, Christine Romans, Michael Smerconish, Jake Tapper, and Fredricka Whitfield will be reporting from the convention sites. Additional CNN correspondents, analysts and reporters on the ground include: Jim Acosta, Dana Bash, Gloria Borger, Pamela Brown, Jason Carroll, David Chalian, Tom Foreman, Jamie Gangel, Nia-Malika Henderson, Brianna Keilar, MJ Lee, Miguel Marquez, Phil Mattingly, Chris Moody, Sara Murray, Evan Perez, Mark Preston, Manu Raju, Maeve Reston, Martin Savidge, Jessica Schneider, Sara Sidner, Brian Stelter, Ryan Young, and Jeff Zeleny. John King will report from inside the convention halls using the CNN Magic Wall, John Berman will host focus groups and Tom Foreman will lead CNN’s daily Reality Check team. CNN Politics will offer blanket, live coverage with behind-the-scenes access including breaking news, digital-first video, live blogs and analysis, data-driven coverage on the CNN Politics mobile app, nightly wrap-ups, and look-aheads on the Nightcap e-newsetter, seamless second-screen integration with the programming on CNN’s television properties, on top of the distinctive digital native coverage expected by the premier digital news brand on the planet. Coverage of the RNC and DNC will also be found on CNN’s Snapchat Discover channel, special daily Facebook Live segments, messaging app executions, and custom experiences across all CNN social properties. CNNVR will additionally deliver an exclusive virtual reality experience, bringing the user directly onto the convention floor for key speeches and delegate activity. In cooperation with an all-star lineup of vendors and partners, CNN will host lawmakers, celebrities, reporters and politicos at the ultimate hospitality venue and live broadcast studios in both Cleveland and Philadelphia. Situated just steps from the convention halls in both cities, the CNN Grill will be located at Harry Buffalo for the RNC and Victory Beer Hall for the DNC. The Grill will serve as home base for the network with a newsroom and live broadcasts daily, a fully operational restaurant, and multiple bars. It will play host to a variety of special events throughout the day and will open to invited guests nightly at 5pm from Monday, July 18 – Thursday, July 21 in Cleveland and Monday, July 25 – Thursday, July 29 in Philadelphia. CNN International will offer extensive live coverage from both the Republican and Democratic National Conventions to more than 320 million viewers around the world starting Monday, July 18. Broadcasting live from the convention halls, Christiane Amanpour will anchor her daily show, Amanpour, live at 2pmET, followed by special editions of State of the Race with Kate Bolduan at 2:30pmET and The World Right Now with Hala Gorani at 3pmET. CNN en Español’s morning program Café CNN (6 to 11amET) will broadcast live from both conventions, with Maria Alejandra Requena anchoring from the RNC and Alejandra Oraa anchoring from the DNC. Directo USA (6pmET) will broadcast live on location both weeks with senior political anchor Juan Carlos López, Ione Molinares, Gustavo Valdés and María Santana will contribute to reporting from the conventions. CNN’s special weekend coverage from Cleveland and Philadelphia will kick off on the Saturday prior to each convention with New Day Weekend, Smerconish and CNN Newsroom. Sunday will include 18 hours of special programming from Cleveland and Philadelphia with New Day, Inside Politics, State of the Union and Reliable Sources live from inside the convention halls. Further, there will be special Sunday editions of The Situation Room, Erin Burnett OutFront, AC360 and CNN Tonight with Don Lemon. Beginning each Monday, CNN will offer 24 hours of live programming from the convention halls and CNN Grill including the network’s staple news programs Early Start, New Day, Newsroom, At This Hour, Wolf, The Lead, The Situation Room, Erin Burnett Outfront, AC 360, and CNN Tonight with Don Lemon. A special weekday hour of Inside Politics with John King will air daily from the CNN Grill from 12 to 1pmET. Each night, CNN special programming continues with America’s Choice 2016anchored by Wolf Blitzer, Jake Tapper, Anderson Cooper, Dana Bash and Chris Cuomo. Late night coverage will be anchored by Don Lemon. Convention programming will air on CNN, CNN International and CNN en Español, and will be live-streamed online and across mobile devices via CNNgo. For more information regarding CNN’s programming schedules, visit www.cnn.com/schedules.